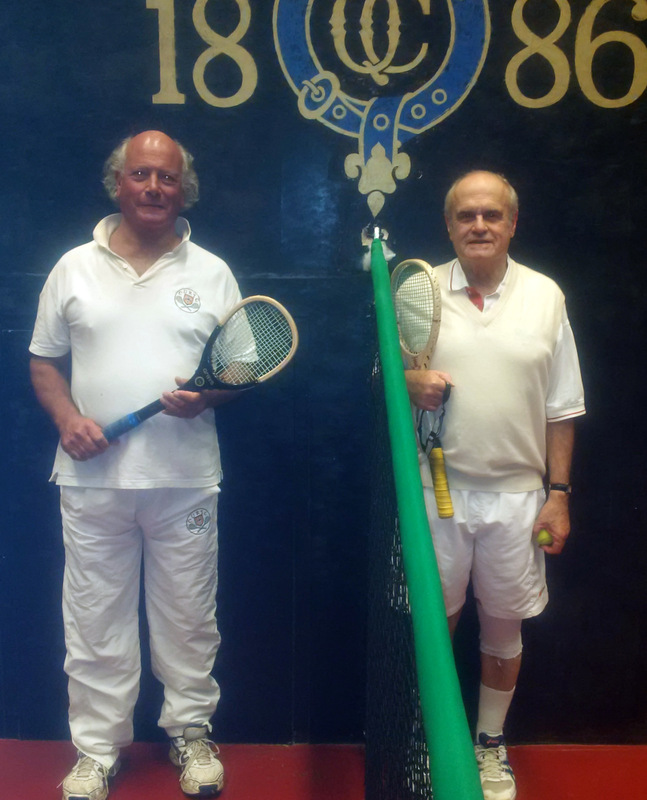 David Carpenter, one of our new Liverymen and his doubles partner Miles Buckinghamshire of the Glovers’ Company won the “B” division of the Inaugural Inter Livery Real Tennis Competition held on the 17th October 2017 at the Queen’s Club. Real Tennis is perceived to be the “King” of racquet sports and demands both racquet and some cerebral expertise! Over approximately 2.5 hours of playing time, they won 29 games, lost 11 and won all 4 matches against their Livery Company opponents. In the Semi- Finals, they won against the second team from the Vintners and in the final they won against a team from the Carpenters and the Grocers’. Both their opponents in these rounds found the handicap difference difficult to overcome against the steady play of David and Miles who raced to early leads in both matches to win the cup and probably the unofficial award of the “the handicap bandits“ of the Competition. 24 livery Companies were represented at this Competition which was graced with the presence in the afternoon of HRH The Earl of Wessex, Patron of the Tennis and Rackets Association, who is a keen player of the game. Throughout 2018, HRH intends to play every real tennis court in the world (some 50 with 27 here in the UK) to raise funds for the Duke of Edinburgh’s award to help young people in their careers. To find out more about this historic undertaking and how you can help, please contact Challenge@DofE.org. This inaugural competition was a great fun event. Our thanks go to our organiser Michael O’Dwyer of the Brewers’ Company and our main sponsor Psigma Investment Management and also to our other sponsors Pol Roger for the Champagne, Latimer Vintners for the wines, Fonseca for the port and Play Brave for our new white tennis shirts. Lastly, David and Miles would like to thank all our fellow competitors who play this truly wonderful game, Ben Ronaldson and his great team of markers and the Queen’s Club staff and their Chairman of Tennis, Simon Mansfield. Plans for 2018 competition are already well in hand and you can be sure that David will be embarking on a recruitment drive for more Distillers representation!